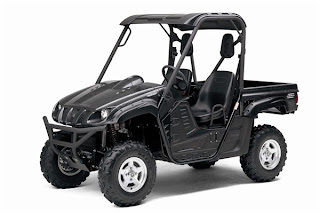 CYPRESS, Calif. – Aug. 15, 2011 – Yamaha Motor Corp., U.S.A., has long touted its ATV and Side-by-Side (SxS) vehicles as being the toughest of their kind, and now a third party study conducted by ADP Lightspeed has proved that claim. More specifically, the ADP Lightspeed study shows that Yamaha has the most durable belt driven drivetrain in the industry. Yamaha’s reliable Ultramatic® automatic transmission system features an exclusive centrifugal clutch that allows the drive belt to remain under constant tension providing a key point of durability – something that sets it apart from competing models. Also exclusive to Yamaha’s Ultramatic system is the one way sprag clutch that not only aides in durability but provides the most natural feeling four wheel engine braking for maximum traction and rider confidence. 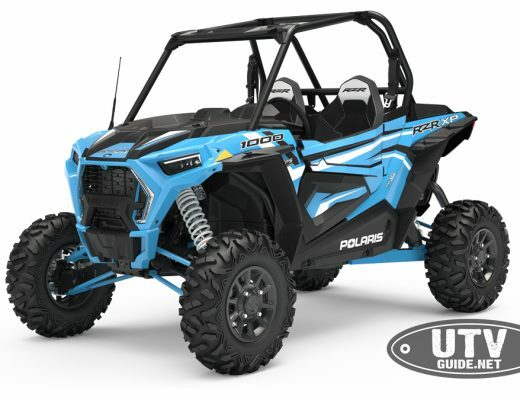 This exclusive system is used in Yamaha’s toughest, most off-road capable ATVs and SxS vehicles including the Grizzly 700 ATV, Grizzly 550 ATV, Grizzly 450 ATV and Rhino 700 SxS vehicle. ADP Lightspeed, based in Salt Lake City Utah, is a part of ADP Dealer Services, which provides integrated computing solutions to over 25,000 auto, truck, motorcycle, heavy equipment, powersports, and recreational vehicle dealers throughout the United States, Canada and Europe. ADP, with nearly $9 billion in revenues and about 560,000 clients is one of the world’s largest providers of business outsourcing solutions. For more information www.adplightspeed.com. Headquartered in Cypress, Calif., since its incorporation in 1976, Yamaha also has facilities in Wisconsin and Georgia, as well as factory operations in Tennessee and Georgia. For more information on Yamaha, visit http://www.yamaha-motor.com/.